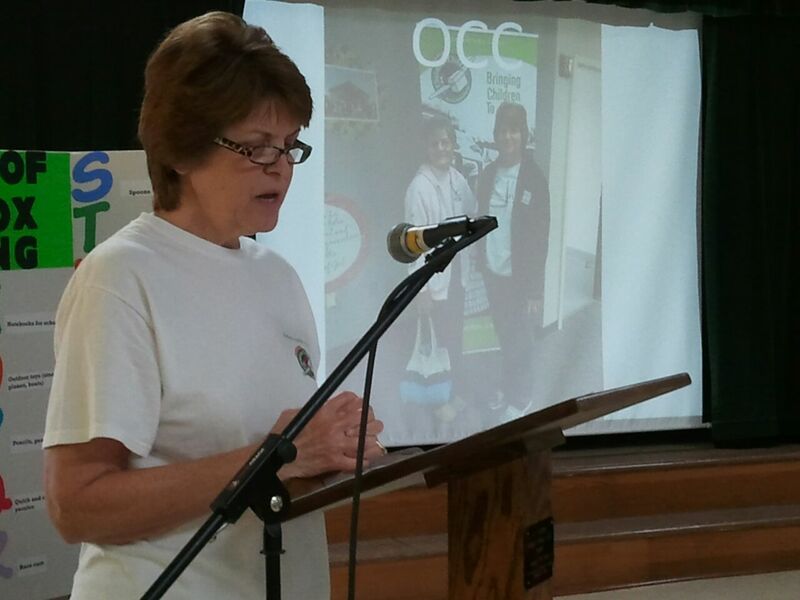 They are dedicated volunteers and as part of today’s JOY Club potluck lunch, Gerry Hood and Reba Thompson shared their passion for Operation Christmas Child and offered ideas for a variety of projects to make Christmas special for needy children around the world. 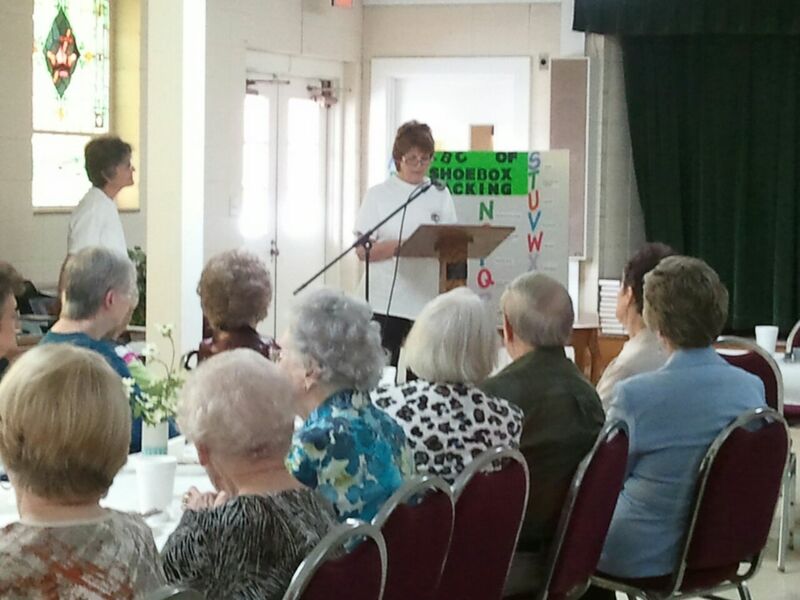 Gerry Hood shared background about the volunteer organization and what Webster County volunteers were able to raise in 2014, while Reba Thompson shared a slide show of the photos from the trip to the warehouse in Atlanta, Ga. that the two took in December last year (along with the group from First Baptist Church of Mathiston) to pack boxes that were shipped to children around the world. Gerry also prepared bulletin board to share ideas of items that can be placed in a shoebox. 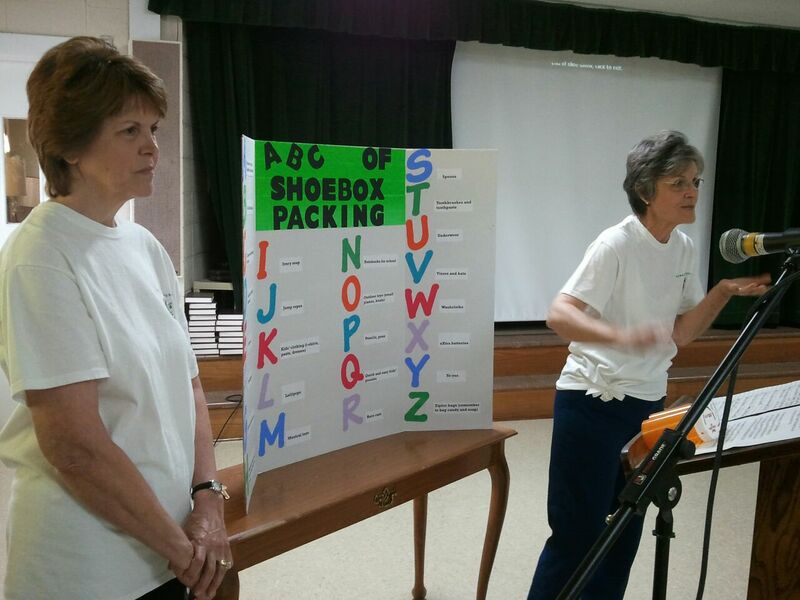 Many of the items on the ABC’s of Shoebox Packing are part of the Items-Of-The-Month program at First Baptist Church of Eupora. The FBC Eupora Operation Christmas Child Committee will be back at work April 8 at 10 a.m. in the church fellowship hall. Anyone interested in volunteering to work with the committee is invited to come join the fun! 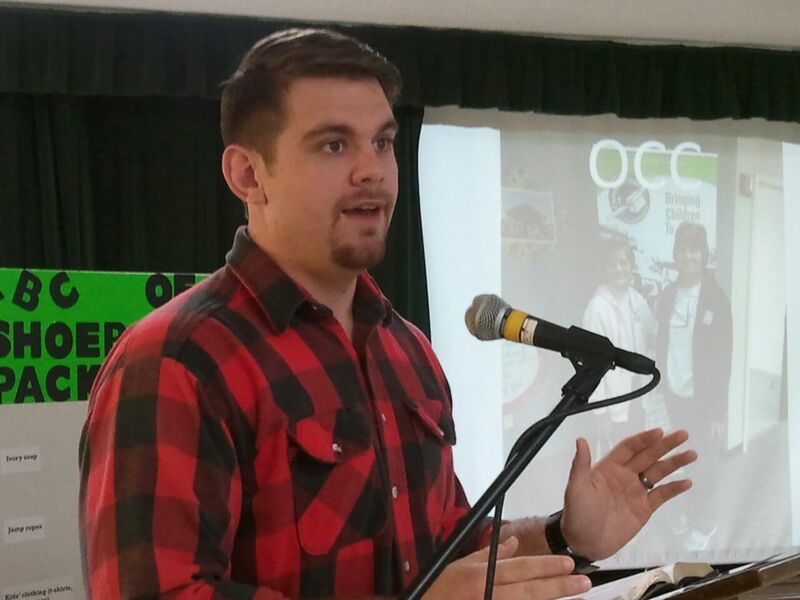 Kevin Barnette, director of students and young adults at FBC Eupora, shared a special Holy Week devotion at today’s JOY Club. Bring a dish and join the group for the next monthly potluck lunch at 11:30 a.m. April 28 in the FBC Eupora fellowship hall. For more information about JOY Club go to http://www.fbceupora.com/ministries/JOY Club.